Planning a trip to Sicily Italy? I highly recommend this stunning island as a destination. It has beautiful views, a volcano, stunning waters and most of all amazing food! However, it is quite a big island so if you have one week it can be difficult to choose where to go. If you like boutique hotels and unique experiences – and to eat! – this is the Sicily Itinerary 7 Days for you! Catania Airport is the gateway to the Eastern side of Sicily and the closest major airport to the lovely town of Syracuse. Either hire a car or organise an airport pick up to take you to Syracuse. The flights from London arrive in the afternoon so by the time you get to Syracuse it will be early evening. Stay at the lovely Hotel Gutkowski. This super cute boutique hotel has a fantastic location across the road from the sea on the edge of the old town. The design is simple and lovely with lots of white. Hotel Gutkowksi has a lovely roof terrace which is perfect for enjoying local wine and snacks. Either buy your own or ask the hotel to provide some. 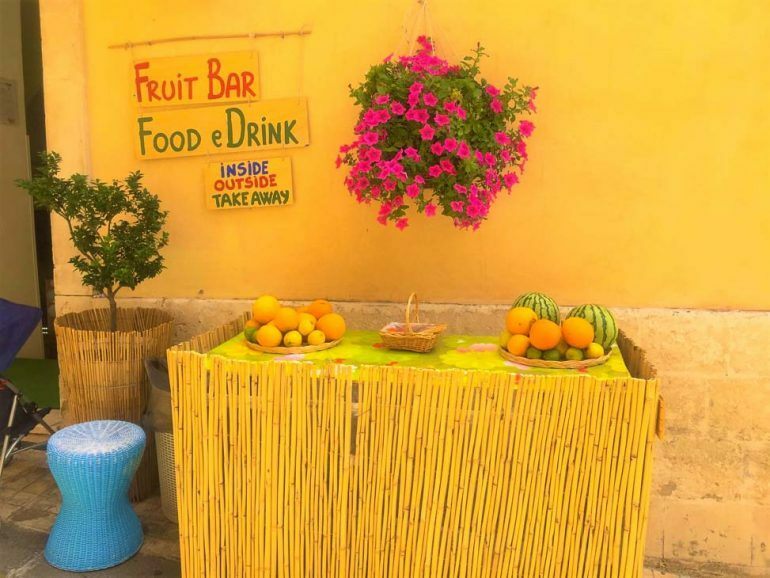 They also have a great restaurant with outdoor seating – a great way to enjoy your first night in Sicily! 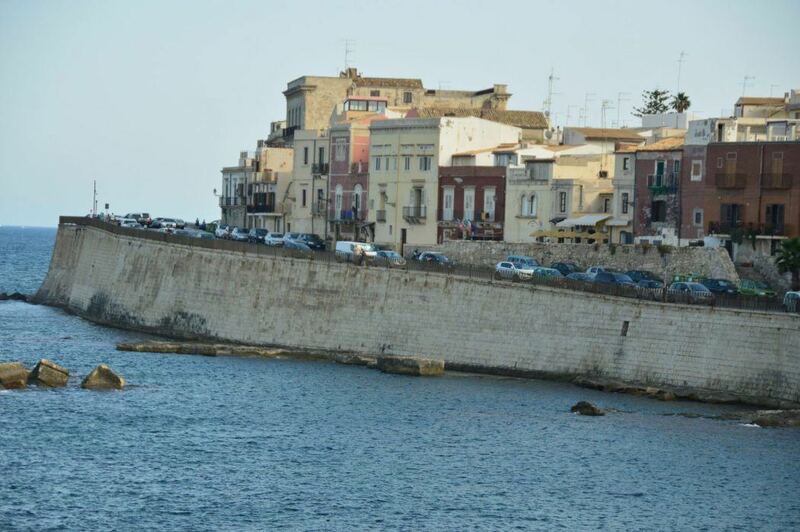 One of the best things to do in Syracuse Sicily is head to the gorgeous Noto! This beautiful little town 40km away from Syracuse is full of beautiful pale coloured buildings. The best thing to do here is to wander its lovely streets. Use the main street Corso Vittorio Emanuele as your kick off point and then wander the side streets. Make sure you pop into Caffe Sicilia for either ice cream or a Granite. Early evening take a walk around the lovely old town before you have dinner. This is the classic Italian promenade time and also when the old town is at its most beautiful. Thinking about where to go on Holidays? Check out my post on 2 Week Colombia Itinerary for Boutique Hotel Lovers. Drive or book a car to take you north to the town of Milazzo. This is the main port for ferries to the Aeolian Islands. I recommend staying on Salina. It is the second biggest of the islands so not too huge but it still has quite good amenities. And the film Il Postino was shot on Salina! It will take you most of the day to get to Salina and to your hotel (organise for the hotel to pick you up at the ferry port). Spend the morning relaxing around the Hotel Santa Isabel and its nearby beach. Hop on the local bus and head to Lingua for a granite. In the afternoon take a boat trip to Stromboli, home of black beaches, an active volcano and Dolce and Gabbana. 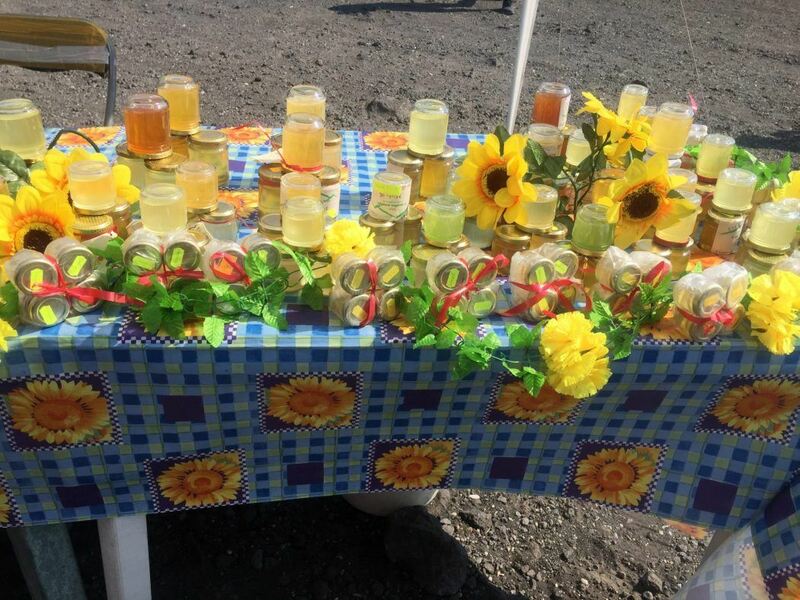 Get the boat to drop you off in Stromboli and have a wander around and an aperitif. 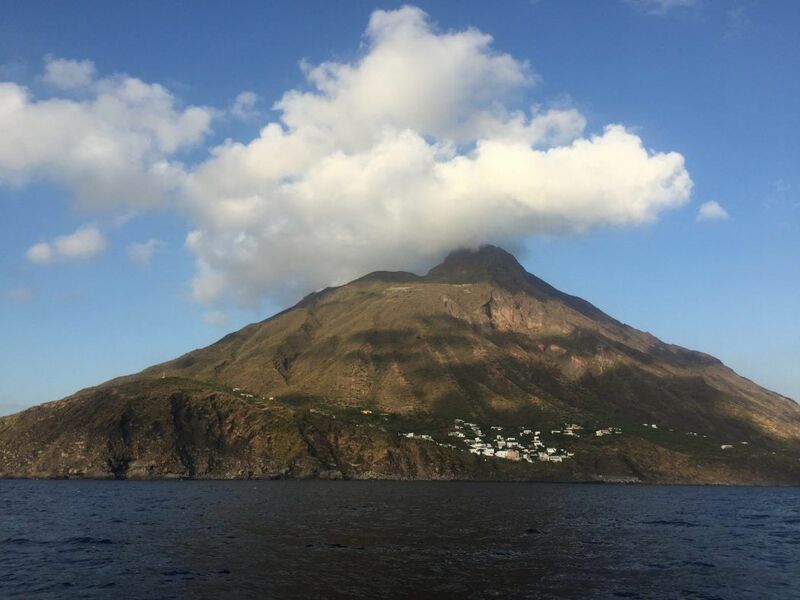 Then jump back on board for dinner and to see Stromboli’s Volcano bubbling away against the dark sky! 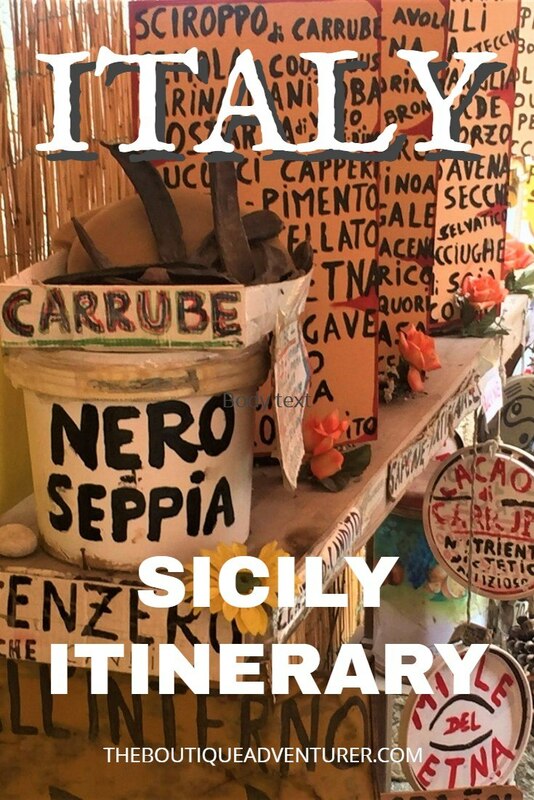 Read more on all the towns in this post in my post on Where to Stay in Sicily. Take the ferry back to Milazzo and then grab a taxi and travel to Taormina. Taormina has an insanely cute pedestrianised old town. There is little accommodation in the old town. The majority are outside or in the hills around the town. Stay at the lovely Hotel Villa Angela. This gorgeous little hotel is in the hills around Taormina and has a fantastic view. Have dinner at Hotel Villa Angela after a big day travelling. 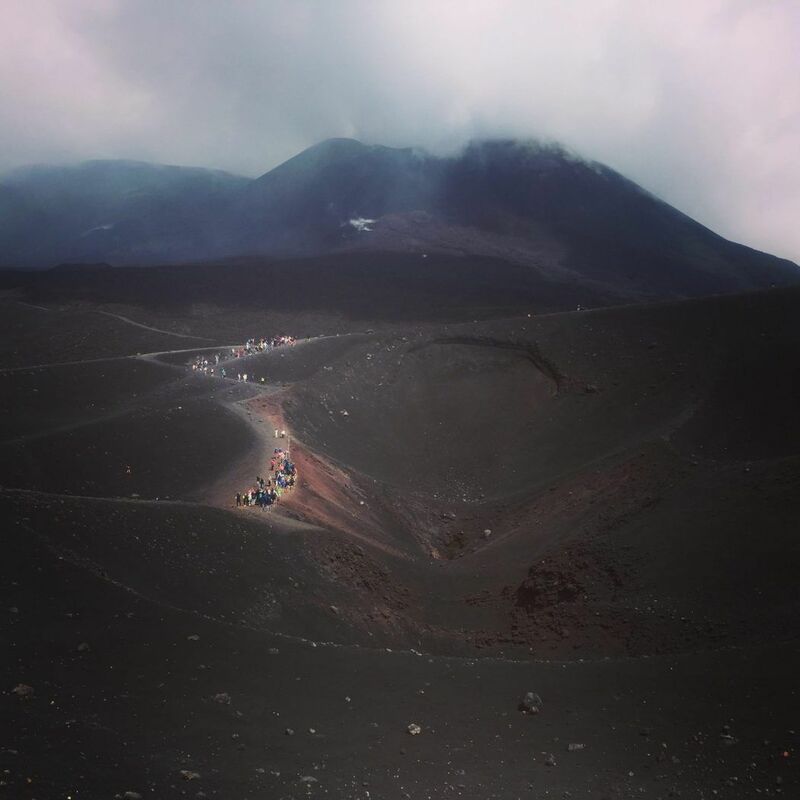 Take a day trip to Mt Etna. This famous volcano is quite near Taormina. The trip takes about 2/3 of a day. Depending on your fitness/energy levels you can choose to literally climb up or take the cable car. The trip is likely to get you back mid-afternoon. 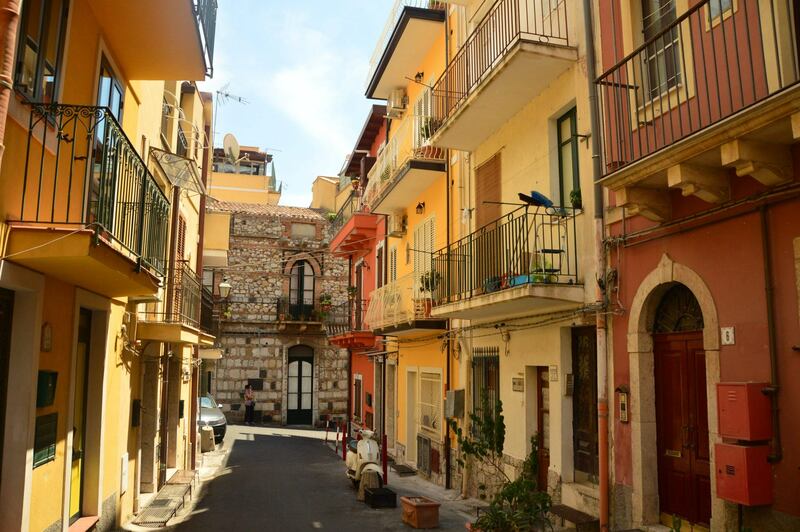 Wander the lovely old town of Taormina and do some shopping. There are some great boutiques! This is also a good time of day for photos. Another great area to visit in Southern Italy is Puglia. Check out my post on the 7 Best Places to Visit in Puglia. Fly out of Catania back to your destination of choice. Sicily has quite a few gorgeous boutique hotels in addition to the two I have already mentioned. Another great option on the waterfront in Syracuse is Approdo Delle Sirene. Or stay in lovely nearby Noto at the Gagliardi Boutique Hotel. On Salina in the Aeolian Islands, you can stay in an old lighthouse set in a winery at Capofaro. In Taormina stay in a turn of the century villa carved into the cliffs at Villa Carlotta or go lavish in the grand villa at The Ashbee Hotel. Click here for up to date prices and availability for Approdo Delle Sirene Syracuse. Click here for recent costs and availability for Gagliardi Boutique Hotel Noto. Click here for recent costs and availability for Capofaro Salina. Up to date prices and availability for Villa Carlotta Taormina. Prices and availability for The Ashbee Hotel Taormina. Like this Post? Why Not Pin It? If you click through on the links in this post and make a purchase I will receive a commission. Just wanted to make sure that you knew.